As the watch collection expands, the need for proper watch storage becomes more and more essential. Having a watch or two that live on the dresser or nightstand is entirely acceptable (and pretty damned common), but when the collection grows and certain pieces are only going out on rare occasion, having a safe and secure spot for to keep them from collecting dust or accidentally getting banged around is in your best interest. Depending on your needs and budget, we’ve compiled a number of options that not only cover your bases while at home, but also those times where you’ve got to get out on the road and are wanting to pack some of your favorite timekeepers along for the ride. 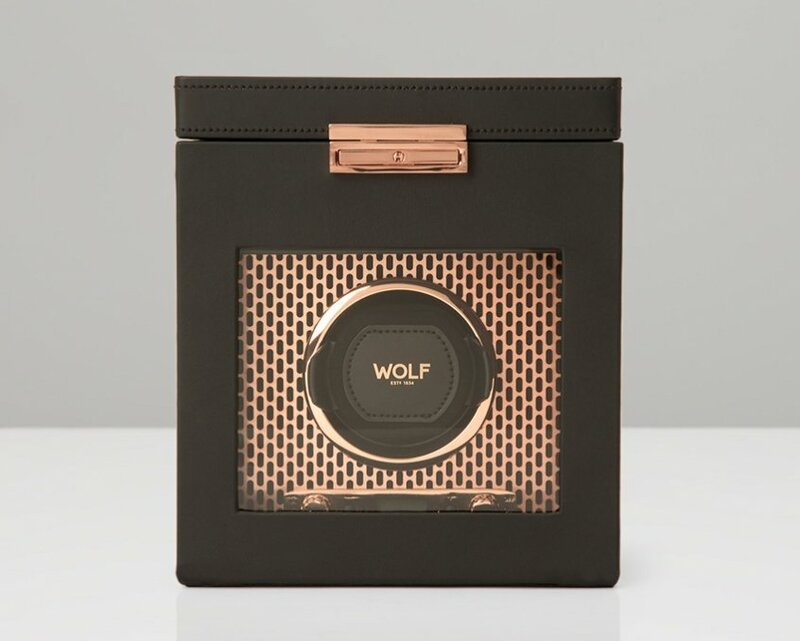 Starting with the basics, watch winders are the kind of thing best not to cheap out on, and Wolf has long been a leader in the category. This single watch winder is fully programmable for number of winds per day, direction if winding, and has delayed start programs as well so you can fine tune the winding program to suit the watch you’re looking to maintain. Operating either plugged in or via battery, it also has an upper storage compartment with room for a 2nd watch and other goodies. Depending on your aesthetic preferences it comes in a variety of finishes, however the audiophile in me was immediately drawn to this particular example that looks more like a small speaker/amplifier than a watch box. Much like watch winders, all travel rolls are not created equal. 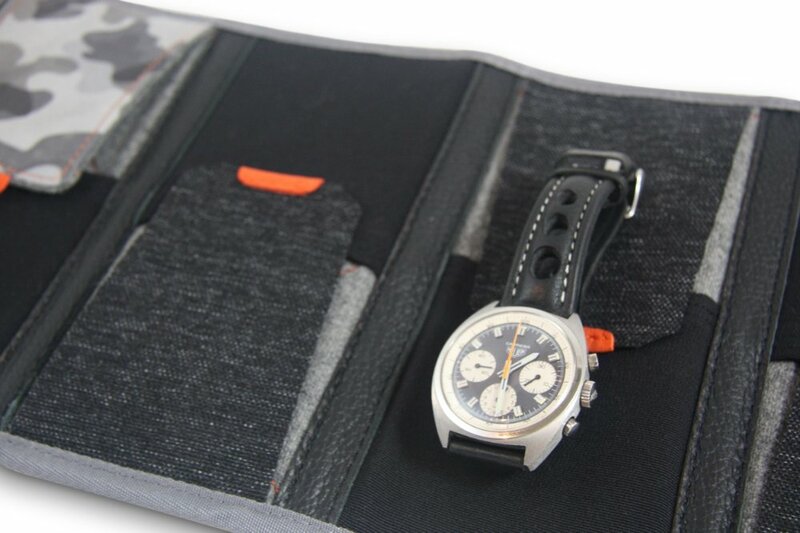 Sure, you can find some nice simple leather rolls out there that will provide a certain level of protection, but the team at Discommon designed their watch roll with a thoughtful level of padding and protection just in case there are some unexpected bumps along your next adventure. A waterproof exterior, performance polyester internal pouches, and a central layer of D30 impact protection fabric mean you can load up your four favorite watches, toss the roll in your backpack, and trust that they’ll still be alive and ticking when you reach your final destination. Now it’s time to get serious. A significant watch collection requires a significant storage solution, and safes like this behemoth from Dottling are about as good at it gets. They offer a wide range of styles from vintage to modern, all with customizable interiors to suit your specific needs. I’ve personally long been fond of the Legends collection; a series of antique safes that Dottling had found, restored, and customized into watch storage units, humidors, and other elegant creations. 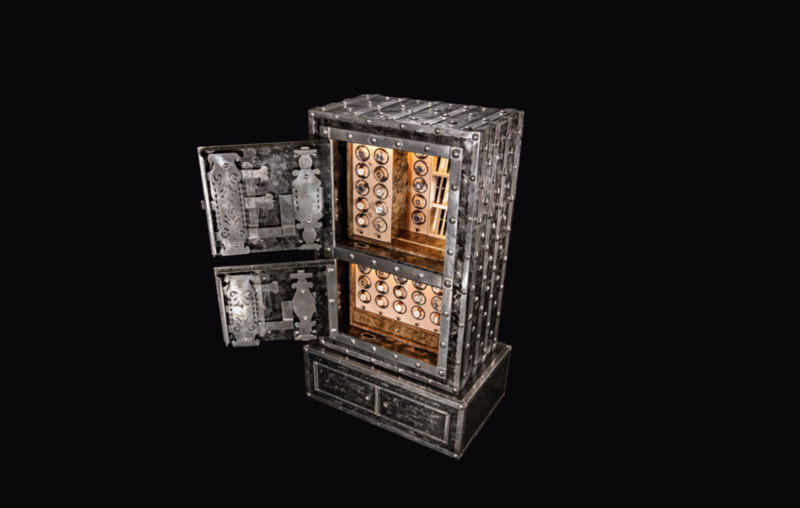 Once they source a new antique base to work from, a series of one-on-one consultations are set up with a client advisor to determine the finishes, fitment, and layout of the safe from top to bottom. If the intent is to go custom and spare no expense, this would be at the top of our list. 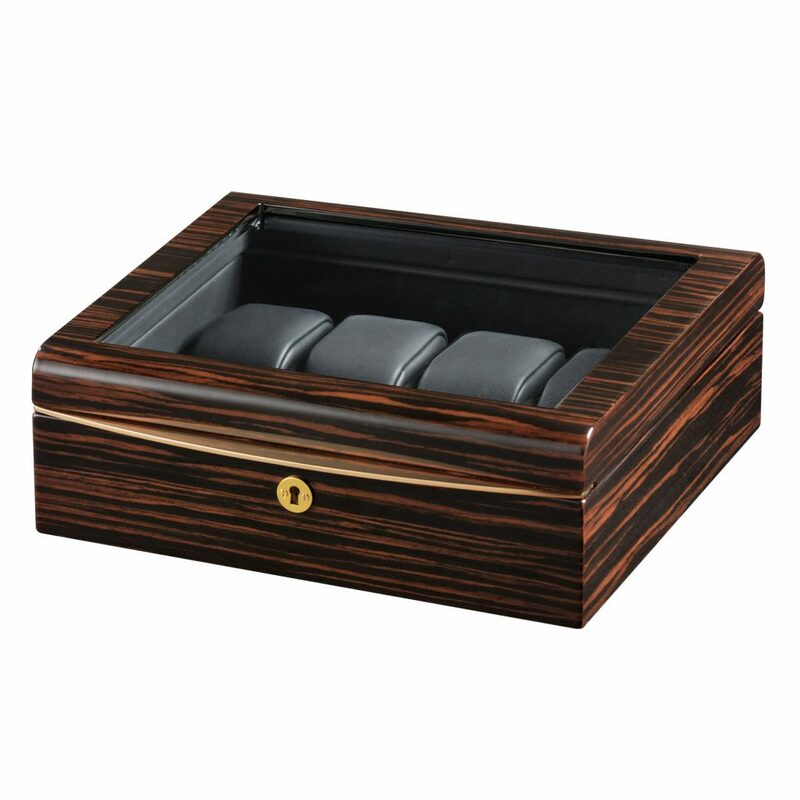 Getting back to things a little more compact, this eight watch ebony box from Volta has a display top that allows you to peer in at your collection while still keeping them protected. Measuring less than a foot wide, it’s still compact enough to live on a dresser, in a drawer, or wherever you see fit, though its glossy ebony exterior and cream leather interior give it enough visual appeal that you won’t want to keep it tucked away. Though not nearly as secure as a proper safe, the case does come equipped with a lock and key, basically offering enough security to keep honest people honest. If the combination of ebony, cream, and gold isn’t particularly your thing, Volta also offers black leather-clad boxes, and even a carbon fiber variant with the same amount of space, as well as option without the display top in case you don’t want guests realizing how far down the watch collecting rabbit hole you’ve fallen.